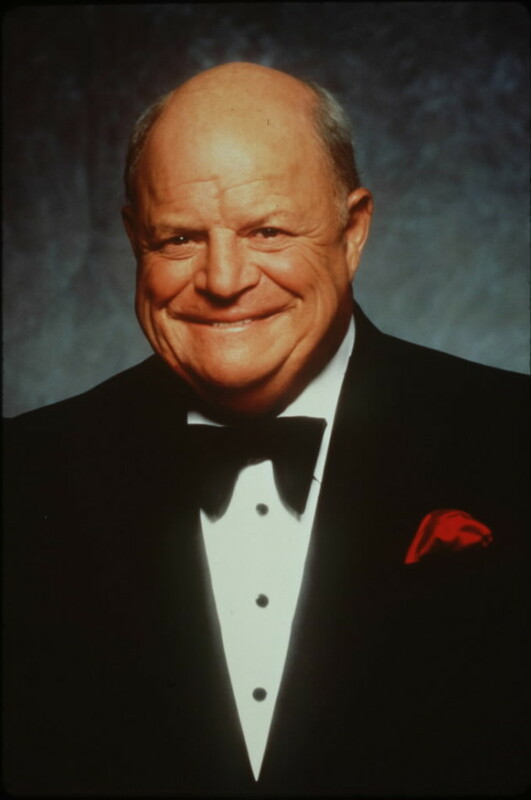 Today in Masonic History Donald Jay "Don" Rickles passes away in 2017. Donald Jay "Don" Rickles was an actor and comedian. Rickles was born in borough of Queens in New York City, New York on May 8th, 1926. He graduated from Newton High School. After graduation he enlisted in the United States Navy during World War II serving on the USS Cyrene, honorably discharged in 1946. In 1948, Rickles attended the American Academy of Dramatic Arts and began playing bit parts on television. Unhappy with the acting jobs that were coming his way, Rickles turned to stand up comedy. He would perform in clubs in New York, Miami and Los Angeles. He became an insult comic response to hecklers, the insults that he hurled were better received than some of his material so he incorporated the insults into his act. In the early	1950's in Miami Beach, Rickles was working at a nightclub known as "Murray Franklin's", Rickles spotted Frank Sinatra in the crowd. He told Sinatra "I just saw your movie, The Pride and the Passion and I want to tell you, the cannon's acting was great." Rickles would add "Make yourself at home, Frank. Hit somebody!" Sinatra found Rickles hysterical and encouraged other celebrities to go and see his act and be insulted. Sinatra, who called Rickles "Bullet-head", helped Rickles become a headline performer in Las Vegas. Later on the two would perform at the inauguration of Ronald Reagan and George H. W. Bush. Rickles found a signature piece of music for his act that is still used for all of his appearnces. The song "La Virgen de la Macarena," often referred to as Spanish matador music plays when he comes out on stage. The music is supposed to represent that someone is about to get gored. Rickles himself has said "I always pictured myself facing the audience as the matador." Through out the rest of the 50's and 60's Rickles would appear in a variety of films, both dramatic and comedic. He would appear in the Beach Party films, his agent was married to Annette Funicello. In 1965, Rickles began appearing on the Tonight Show with Johnny Carson. In the 70's he would begin substituting for Johnny Carson, leading to one of the most famous pieces from Tonight Show history. Johnny Carson stormed on to the set of C.P.O Sharky, a show that Rickles was staring on and was filmed in the same studio as the Tonight Show. Carson claimed to be incensed that the night before when Rickles was sitting in for Carson, Rickles broke Carson's cigarette case. Throughout Rickles career which includes present day, he has worked on many films and television shows. He has made appearances on such classic television shows as the Munsters, Gilligan's Island, Get Smart and I Dream of Jeannie. Younger audiences know Rickles as the voice of Mr. Potato Head from the Pixar movies Toy Story, Toy Story 2 and Toy Story 3. "You know, every night when I go out on stage, there's always one nagging fear in the back of my mind. I'm always afraid that somewhere out there, there is one person in the audience that I'm not going to offend!" Rickles passed awawy on April 6th, 2017. Rickles was a member of Service City Geba Lodge No. 1009 in Astoria, New York.